Perhaps no other area of scientific interest suggests hyperspectral than the field of remote sensing. Remote sensing encompasses a wide range of applications, from commercial satellites focused on earth research to low-flying aircraft and UAVs used for precision agriculture. 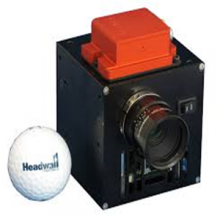 Many environmental secrets have been unlocked thanks to the precision and capability of Headwall’s hyperspectral sensor solutions. Environmental biologists, geologists, and crop scientists are using Headwall’s technology to move their research efforts forward. 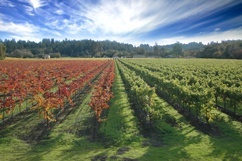 The planting and harvesting of crops is one such application. Searching for resources such as gas and oil is another. Mining and mineral exploration—drill core analysis—represents a third. And helping to mitigate the effects of ecological disasters is yet another area where hyperspectral sensors can play a vital role. In every case, this vital work is occurring remotely. That is, from a satellite or an aircraft. This allows researchers to cover a vast amount of inaccessible territory very rapidly. Headwall’s hyperspectral sensors are designed specifically for this type of environment. They are rugged and thermally protected. They are small and precise. And they have the capability of providing the research community with a vast amount of valuable, precise hyperspectral data that can be collected, managed, and transmitted in real time.